It’s been quite the couple of days. 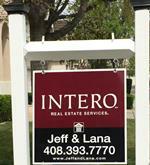 Yesterday was fairly quiet with periodic updates by email on the offers from our realtor, Jeff. Towards the end of the day he let us know that he had four offers and would be here between 7:30 and 8:00 pm to go over them. At the last minute he sent us an email stating that he had another offer coming that would be to him by 6:30 and that he would be here by 8:15. As it turns out he got here right at 8:15 and that fifth offer was bogus and a waste of time. But we spent time looking at the other four, and two in particular. Jeff called both agents, we discussed and countered. He left here at 9:30 with us believing we knew which offer we were going to accept. I had an email from Jeff first thing this morning and we were on the phone at 8:30. There were responses from the two buyers, Terry and I talked when she got off her conference call and in the end our decision was the same. We called Jeff shortly after 9:00 am. He prepared the paperwork and emailed it to us. We reviewed the documents and signed electronically and had them back to Jeff by 10:50. I spent the rest of the morning completing some necessary paperwork for escrow using the rather cumbersome Adobe Acrobat Fill and Sign function. I was so tired I thought lunch out might be nice. Terry suggested our local South Asian place and we started to head out until we realized that we couldn’t. Our new flat-screen TV was to be delivered in the afternoon. But that’s a story for tomorrow.